Backcountry skiing yurt lodge at Jyrgalan valley. The place with the tons of powder all over the winter season and endless adventure possibilities in summer. Contact us and book your dates now! Refresh rate is 20 mins in the case of good internet connection at the site. Latest image available here. Group leader special discount is available. Only a certified avalanche safety and rescue group leaders are allowed to ski with their groups at the Jyrgalan Lodge areas. If you are a self guided then we highly recommend you to book IFMGA certified guide while booking your staying. Choose the desired amount of nights you want to stay at Jyrgalan Yurt lodge for a skitouring holiday. We will provide you with additional discount if you will stay for a week or more. 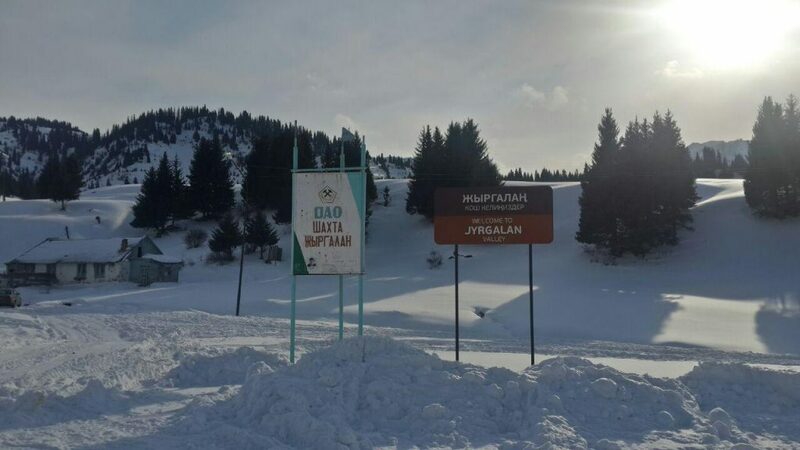 How to get to the Jyrgalan Yurt Lodge? – Shared van / Marshrutka #331 at Ak-Tilek Market (Bazaar) – location map. Make sure that the bus goes all the way to Jyrgalan. Marshrutka runs 3 times a day all year around and costs 80 KGS per person. Summer: 8:30, 13:30 and 17:30. Winter: 8:30, 13:30, and 16:30. 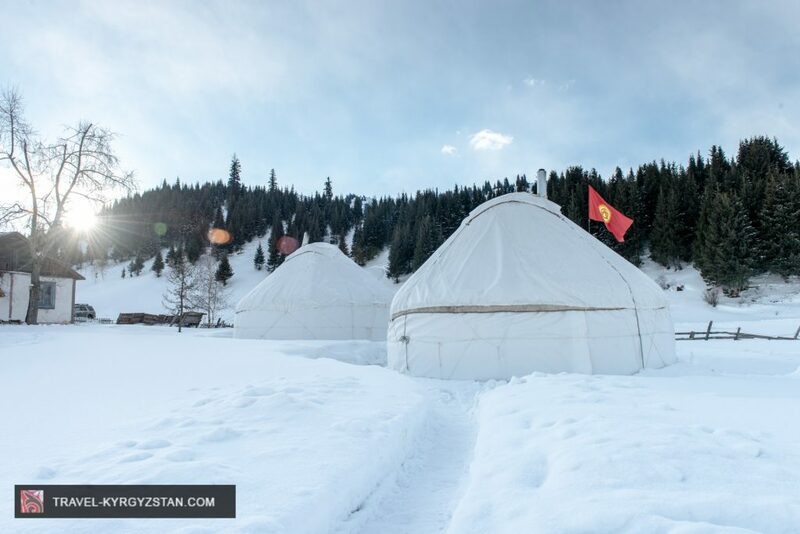 It is around 60km from Karakol village to the East. When entering the Jyrgalan village you will come to a road cross with a few signs (see image below) – you should turn left and follow around 200 meters. Address: Issik-Kul region, Jyrgalan village, 14 Lenin street. See the map below. Here is the more detailed map.